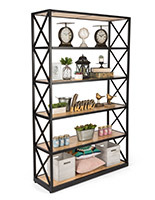 This industrial rustic 5-tier shelving unit has a homey feel that is sure to brighten any vintage modern retail environment. 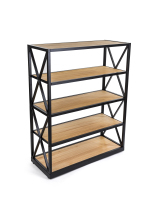 Paulownia wood marries well with durable steel to create a stunning contemporary farmhouse style. 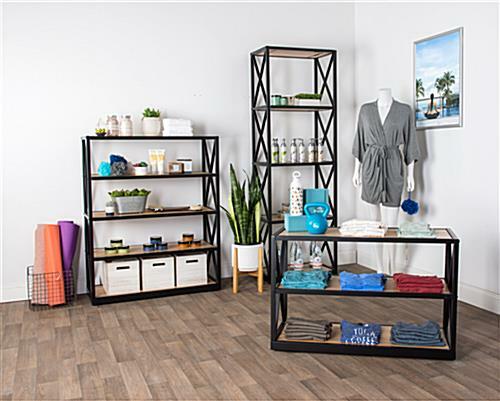 Floor levelers are included with this commercial grade industrial rustic 5-tier shelving to ensure that the unit remains stable in your vintage modern retail store. 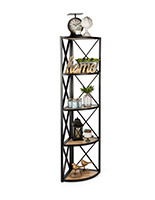 This display has a unique contemporary farmhouse charm that is impossible to ignore. 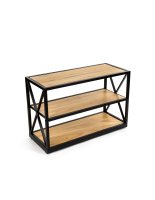 Ample space is provided for curios, decoration and storage. 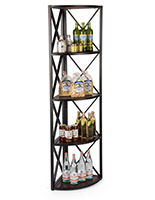 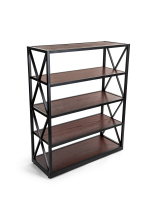 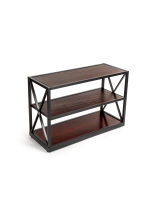 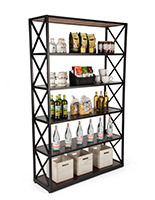 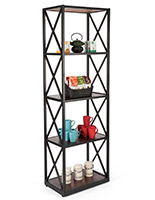 Purchase this industrial 5-tier shelving to add a unique touch to your home or boutique.